To provide exceptional treatment with maximum comfort, our practice has a range of dental technologies. Below is a summary of some of our commonly used equipment, how it works and what it does to benefit you. The Diagnocam is a tool that shines a laser light through the tooth. This allows us to see decay and cracks that are not otherwise apparant and helps us make the best decisions for your care. This is an exciting and innovative tool!... we are one of the first practices in NZ to use it and our dentists are involved in training other dentists in the use of this technology. Laser dentistry can be used for treatments involving both hard tissue (teeth, roots and bone) and soft tissue (gums, tongue, cheeks and lips). It works by using varying combinations of laser light, water and air. There is no heat and no vibration. In fact, many procedures can be comfortably performed without anaesthetic, which means no lingering numbness. The dental laser is highly accurate, working within a fraction of a hair’s breadth. This process inhibits infection and promotes faster healing, bleeding and swelling are minimised. The laser is also used in root canal therapy to sterilise the tooth root and therefore help to create a cleaner tooth root, when you really don't want to loose the tooth. Lasers can even help to detect decay at an early stage. And early detection means a simpler and quicker procedures so you’ll be out of the chair and smiling again much sooner. The dental laser is gentle on your teeth and gums – and easy on you. The VELscope will helps us to detect oral cancer in its very early stages, providing you with the highest level of oral health care available. Of course the odds are that we won't find anything that concerns us. But if we do, then you have time to seek appropriate medical care to reduce the chances of the cancer spreading. Throughout the world, oral cancer is the 6th most common cancer. 50% of patients diagnosed with oral cancer are expected to die within 5 years, if diagnosed early, 90%of cases are curable. Ozone therapy is a very safe and very effective way to help control infection, whether it is a decayed tooth or an inflamed gum. This assists the healing process and means that tooth and gum heal faster with less complications and increased comfort. Ozone therapy has an interesting history. It was used in medicine in the 19th century and even in World War II to treat men wounded in the trenches, so its uses as an antibacterial agent have been recognised for a long time. Today it is used to treat water in large cities such as Los Angeles, and it is recognised as an effective way to provide high quality water to this population. There is no smell of chlorine as with chlorinated water and no by-products as the Ozone (O3) is converted to Oxygen (O2). We use both ozoneated water and gas. Ceramic restorations restore badly broken or cracked teeth in a way that makes them as strong as possible again. This ceramic is a biocompatible material that is bonded to the remaining tooth which then restores your tooth's functionality, strength and natural appearance. The tooth is prepared by removing all of the old filling, often this is mercury amalgam. (Conventional methods often use the amalgam in the middle of the tooth to hold the crown on the tooth, so the amalgam is left there without you being able to see it). There may not be much tooth remaining, so what is there, is really precious. Conventional methods also take all the outer edge of the tooth away so part or all of the remaining sound tooth is removed as well. So, the precious remaining tooth is photographed (instead of your mouth being filled with an impression) and the image transferred onto the computer. This is CAD /CAM technology. (Computer Aided Design and Computer Aided Manufacture). Your tooth is designed using the computer, and then a milling machine is used to produce the precise restoration to fit your tooth. You wait in the massage chair with a refreshment and your feet up! 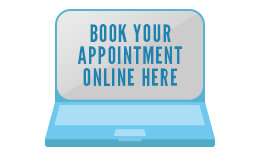 Completion in one appointment means you save time, (conventional methods use two visits two weeks apart). This reduces the need for anaesthetic injections and temporary covers are not required. It is very accurate, so the restoration is a precise fit and highly durable. We guarantee the restoration for 5 years provided we can check on what is happening in your mouth six monthly in your regular visit to the hygienist. It retains as much of your natural tooth structure as possible to enhance strength and functionality. There is less trauma to the tooth than conventional methods. The intra oral camera gives you a guided tour of your mouth. A small camera is mounted in a tube which is then easily moved throughout your mouth. This is then displayed live on your overhead screen so you can see what your dentist sees. 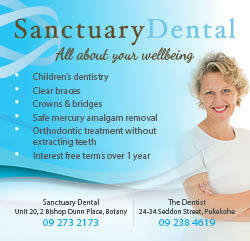 Any problem areas are discussed with you so that you have a better understanding of what is happening in your mouth. Low dose, digital x-rays have surpassed their film predecessors as they offer greater safety, accuracy and efficiency. Using 90% less radiation than film radiographs, their results are almost instantaneous. This helps your dentist to accurately detect any potential problem areas.We also use lead aprons to shield your body.